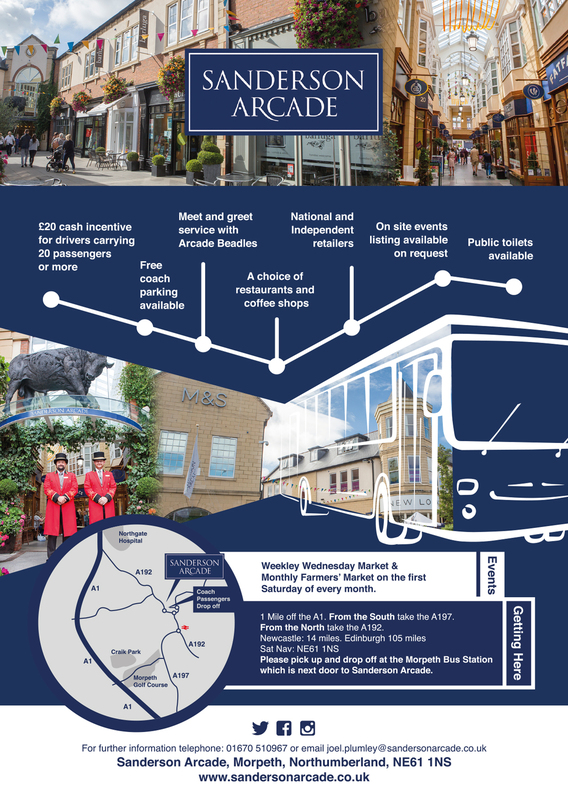 With over 27 fantastic stores including M&S, Laura Ashley, Hobbs and Waterstones, there really is something for everyone at Sanderson Arcade. We also have some great coffee shops and our newly opened Barluga Restaurant to choose from, including a beautiful landscaped piazza area to relax in as well as a stunning Edwardian style arcade. Why not call into The Morpeth Larder located within the bus station for a delicious cup of coffee or a bite to eat during your visit here to the Arcade. Don't forget to look out for the Sanderson Arcade Beadles – they can tell you more about some of the great places to visit in the beautiful town of Morpeth! 1 mile off the A1. From the south take the A197. From the North take the A192. 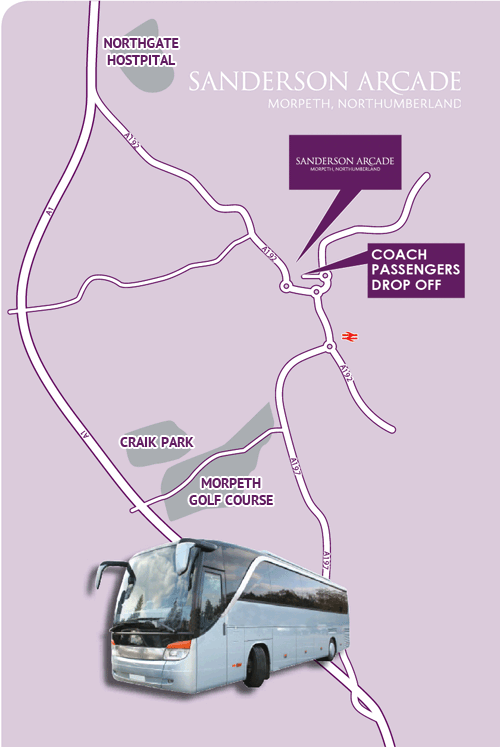 For details of how drivers can claim a £20 cash incentive when bringing 20 passengers or more please download our driver information or contact one of our Beadles on the centre. To let us know about your forthcoming visit to the Arcade and any requirements we can help with, contact Lottie Thompson Assistant Centre Manager, on 01670 510967.